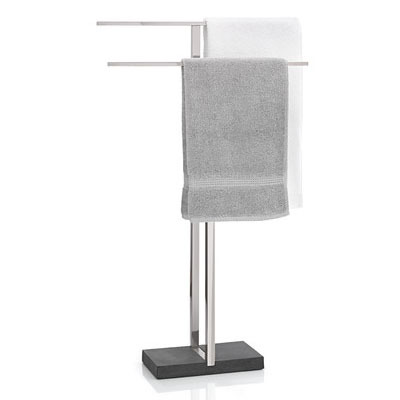 Hang your towel in style, especially when you don’t have much space in the bathroom, Blomus Menoto Free Standing Towel Stand would do great for you. This stainless steel towel stand features stable, polystone base, you can also use this stand to hang your toilet paper or toilet brush. 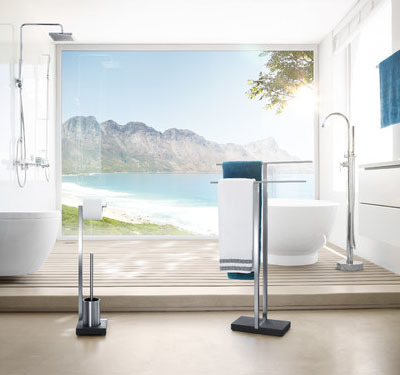 Some bathrooms have limited hooks, when the wall is occupied by a mirror or cabinets, you have an option to use free-standing towel stand. 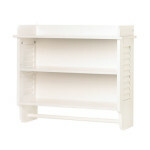 This one features modern design, simple and stylish, and the price is pretty affordable. 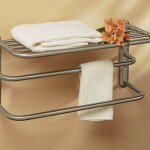 Menoto towel stand is also great to have when your bathroom is pretty big and the on-wall towel bar is too far away from the shower. The bar length is 19.75-inch with 0.75-diameter, the overall dimensions are 34-inch H x 19.7-inch L x 6.3-inch D, it is high enough to hang an average size towel. 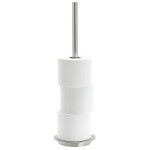 Where to buy Menoto Free Standing Towel Stand? This entry was posted in Bathroom Accessories and Parts by Bathroom Fixtures Reviews. Bookmark the permalink.